Just one of two pieces that I've seen like this. 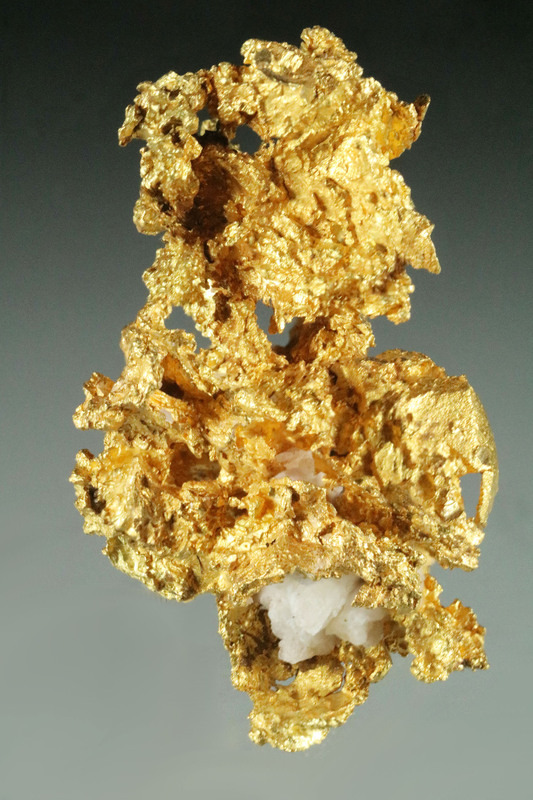 A very rare crystalline gold specimen from Mexico. A very rare and special find! 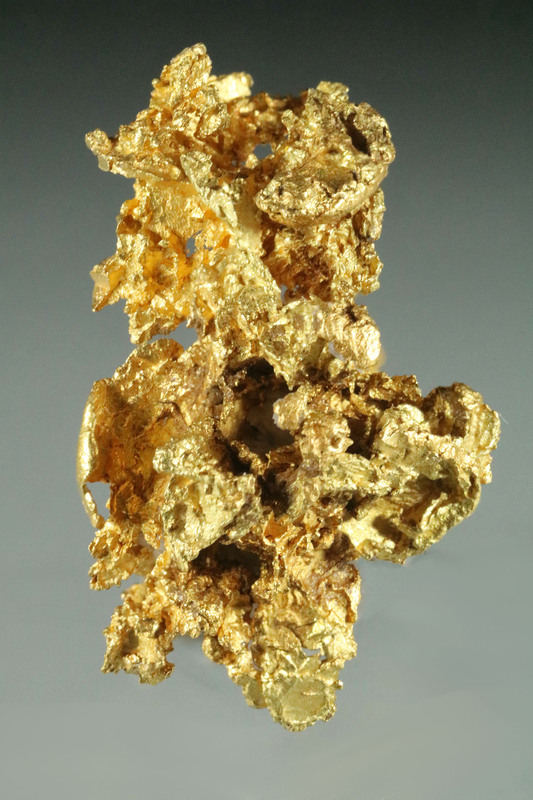 This beautiful piece from Mexico weighs 3.97 grams (61.3 grains) and measuring 5/8" (17mm). From the color of the gold, I estimate the purity at 22KT to 23KT (92% to 98% pure). It was found in Northern Senora State in Mexico, near the town of Caborca, very close to the location that the famous "Boot of Cortez", the 389 troy ounce gold nugget.